Spicy red berries and cloves. Delicious! Made by winemaker Laurent Pratx in the southern Rhône, this is a characteristic Côtes du Rhône-Villages blend of grapes, 60% Grenache, 30% Syrah, and 10% Mourvèdre. It is a perfect wine for partnering with hearty casseroles, sausages, game, pasta or cheese fondue. 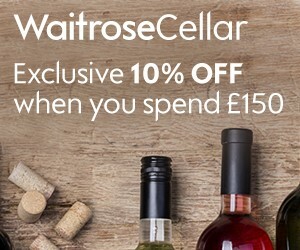 Sorry, we don't have any reviews of Waitrose Cotes du Rhone-Villages yet. If you've bought it, why not tell us what you think below? Waiting for a good deal on Waitrose Cotes du Rhone-Villages? Enter your email address below and we will email you when it's on offer at 25% off or more! The Wines Direct Price Alert is a free service. In return, we just ask you to write a short review of Waitrose Cotes du Rhone-Villages to help other customers learn about it.